Fams you can now celebrate ur birthday with emlek every month starting with this month (march)... 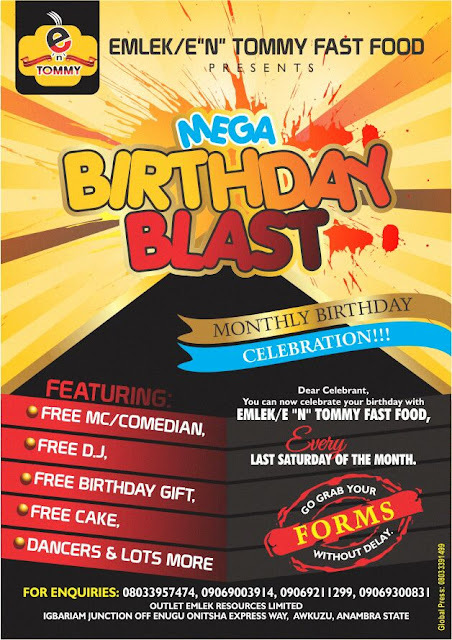 So if u are born in the month of march rush now don't be late go grab your forms at emlek/e n tommy fast food igbariam junction off Enugu onithsa express way,Awkuzu anambra state... The first person to pick up a form this march gets a free form, so be the first person!! !